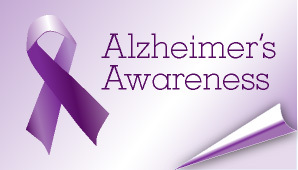 November is National Alzheimer’s Awareness Month, and that means it is a good time to talk about how to deal with this frightening condition. There has been ample press and research in recent months about how Alzheimer’s works, the damage it produces, as well as insights into how to arrest or cure the condition. However, the fact remains that an estimated 5.5 million people of all ages are coping with this degenerative condition. And more than 19 of every 20 of these individuals are 65 years of age or older. So, the question for caregivers to those people is how can we support their quality of life as they cope with the condition? A lot of research from around the world focuses on how to address Alzheimer’s and other dementias, and some of this has shown that there is a lot to be said for more than just the medical care these patients receive. Part of a growing body of work on “patient-centered” care has shown the benefit of modifying certain environmental factors for people with Alzheimer’s. A study of long term care facilities in Spain showed the positive impact of modifying such environmental factors like temperature, light and noise. Among samples of dementia patients from each of these facilities, the researchers took measures of quality of life either from the patients directly or by proxy indirectly from staff. Quality of life measures included patient mood, interaction with others, physical comfort and their relative abilities to manage standard activities of daily living. As researchers measured these factors, they also took measures of temperature, light and noise in areas the patients occupied during any given day – their own rooms, the living room, the dining room. They found that higher temperatures were consistently associated with lower quality of life among residents. Low lighting, they found to be associated with depressed moods among residents, and the greater the noise, the lower the social interactions among residents. To get quantitative, noise levels above 50 decibels were consistently associated with more negative quality of life for residents. In a positive vein, when day time hours had brighter light and evenings had lower light, sleep and mood patterns for residents were significantly improved. The researchers also found that higher daytime temperatures resulted in more demands from residents for care or attention from the staff. If you want to be an informed advocate on behalf of an institutionalized family member or loved one with dementia, please check out the rest of the findings. They can be found in the Journal of the American Geriatric Society.